Your day-by-day itinerary now includes Pulilan Butterfly Haven, Balanga Nature and Wetland Park and Esquieres Travel Taal Volcano Crater Tour. On the 7th (Tue), stroll through Pulilan Butterfly Haven, then identify plant and animal life at Balanga Nature and Wetland Park, then contemplate in the serene atmosphere at Malate Church, and finally explore and take pictures at University of Santo Tomas. For traveler tips, reviews, where to stay, and other tourist information, you can read our Manila vacation builder. Bucharest, Romania to Manila is an approximately 23.5-hour flight. The time zone difference moving from Eastern European Time (EET) to Philippines Time (PHT) is 6 hours. Traveling from Bucharest in November, things will get much warmer in Manila: highs are around 37°C and lows about 29°C. 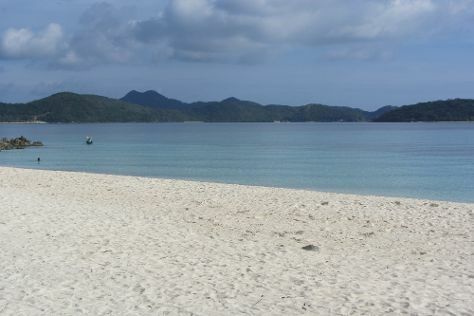 Wrap up your sightseeing by early afternoon on the 8th (Wed) to allow time for travel to Coron. Kick off your visit on the 9th (Thu): see the vivid underwater world at Coral Garden, explore the activities along Kayangan Lake, and then step off the mainland to explore Coron Bay. Here are some ideas for day two: enjoy the sand and surf at Banol Beach, then step off the mainland to explore Banana Island, and then explore the activities along Twin Lagoon. To see reviews, other places to visit, more things to do, and other tourist information, refer to the Coron holiday planner. Traveling by flight from Manila to Coron takes 3 hours. Alternatively, you can ride a ferry. 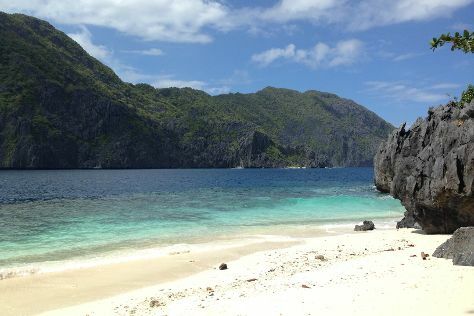 Finish up your sightseeing early on the 11th (Sat) so you can travel to El Nido. 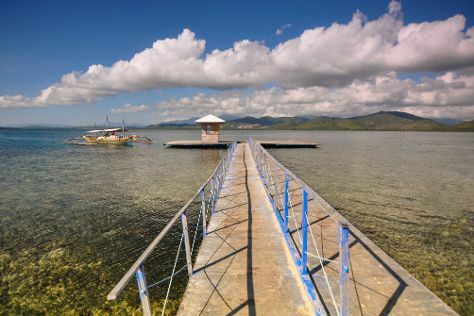 You'll explore the less-touristy side of things at Shark Diving and Marimegmeg Beach. There's lots more to do: step off the mainland to explore Matinloc Island, contemplate the waterfront views at Big Lagoon, enjoy the sand and surf at Hidden Beach, and head outdoors with Outdoor Activities. For other places to visit, photos, ratings, and other tourist information, you can read our El Nido trip planner. You can fly from Coron to El Nido in 3.5 hours. Another option is to do a combination of ferry and bus. Cap off your sightseeing on the 15th (Wed) early enough to go by car to Puerto Princesa. Start off your visit on the 15th (Wed): step off the mainland to explore Lu-Li Island. Here are some ideas for day two: contemplate in the serene atmosphere at Immaculate Conception Cathedral, take an in-depth tour of Palawan Special Battalion WW2 Memorial Museum, and then look for all kinds of wild species at Palawan Butterfly Ecological Garden and Tribal Village. To find traveler tips, more things to do, where to stay, and tourist information, read our Puerto Princesa custom trip planner. Traveling by car from El Nido to Puerto Princesa takes 4 hours. Alternatively, you can take a bus. In November, daytime highs in Puerto Princesa are 36°C, while nighttime lows are 29°C. Wrap up your sightseeing on the 16th (Thu) early enough to travel back home.